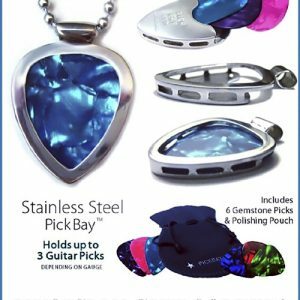 View cart “Pickbay Stainless Steel set + Martin Picks set” has been added to your cart. 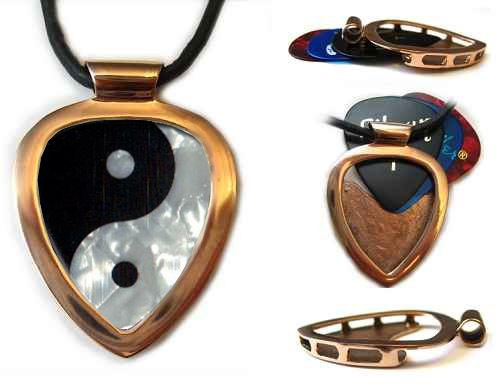 Red Gold IPG* Authentic PickBay Guitar Pick Holder Pendant Set + Ying Yang Guitar Pick, plus 3mm leather cord necklace! 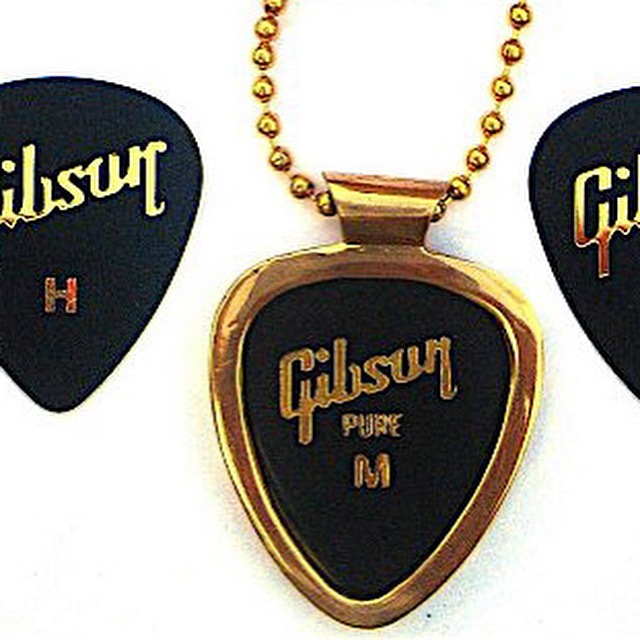 (The Red GOLD IPG Pickbay Pendant has the logo on the back, so is NOT engravable). 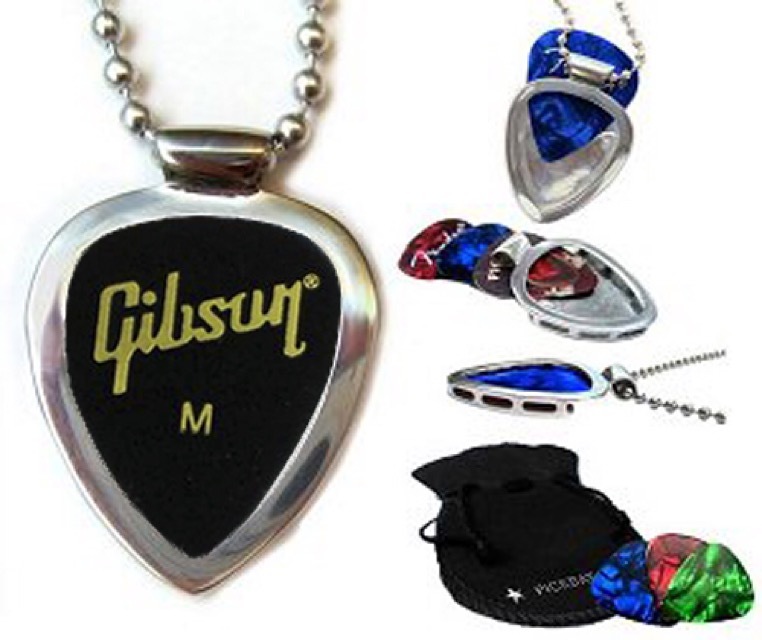 Proudly display your concert picks or favorite jewel-tone picks everywhere you go. 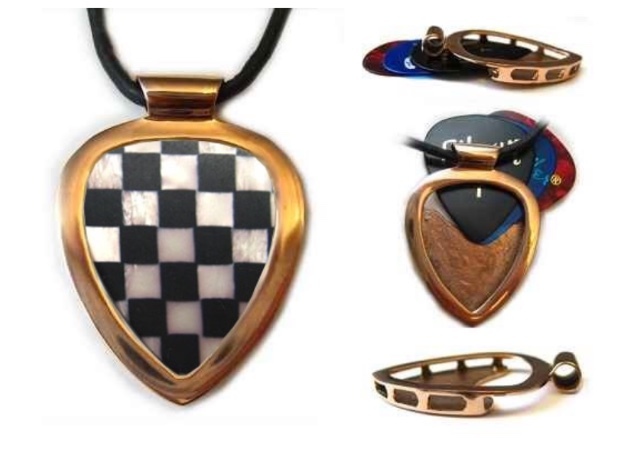 Your picks are safe and secure but easily interchangeable so you change your look anytime! 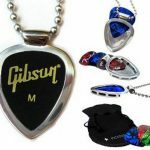 This combo includes a 3mm leather cord necklace , Ying Yang Guitar Pick,plus an additional bag of Picks, and a velvet bag that serves double duty as a polishing cloth. You can add a leather cord necklace too! The easiest way to insert or release a pick is to place your thumb over the front surface of the pendant. Then slide the pick in, using your thumb to guide it. Be sure that pick is all the way in. 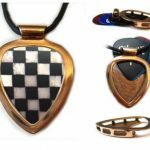 You’ll sometimes hear it “snap in” place under the chain shuttle which acts as a stopper, holding the pick or picks in place. 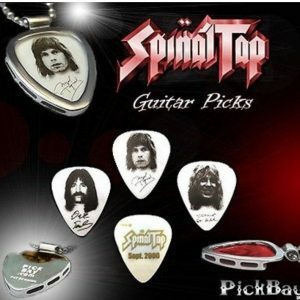 To remove a pick, simply push the pick up and out with your thumb. *Red Gold IPG is a durable ionic finish applied to a stainless steel base (superior to electroplating) and guaranteed not to fade or tarnish under normal wearing conditions and occasional polishing. 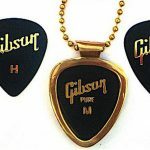 Thin, medium, heavy–PickBay holds almost every standard “351” size guitar pick you’ll find — Dunlop, Gibson, Grover Allman, Addian, and photo picks. You’ll be planning your wardrobe around your picks and vice-versa once you get started! 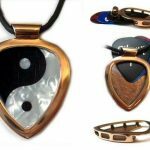 Change Picks – 1000 Necklaces in 1! Most Perfectly Designed Pick Holder Necklace Ever! Beautiful choice for Wedding Party gifts!